Castles have fascinated people for over a thousand years and have been a staple of Fantasy RPGs since the beginning. Emerging in Europe and the Middle East around the 9th and 10th centuries they were a natural extension of other forms of fortified building already being constructed. The term castle is usually used to mean a fortified structure that is also the residence of a noble of some kind. Across Europe there are many varying styles of castle built by various European cultures. In Great Britain the Norman castle is among the most common by far. Although these fortified structures often developed common features, they where not built from a standard blueprint or plan and so there are many differing plans used in their construction. 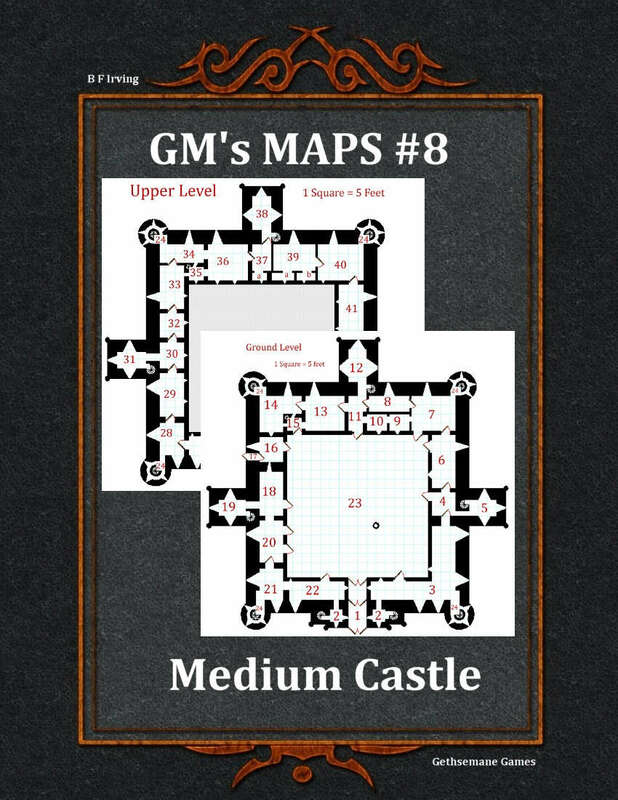 This map presents a medium sized castle inspired by a number of castles from the British Isles.